Sorbet is a frozed dessert made with fruits. Fruits like watermelon, strawberries, pineapple, kiwi, mango etc. can be used to make sorbets. 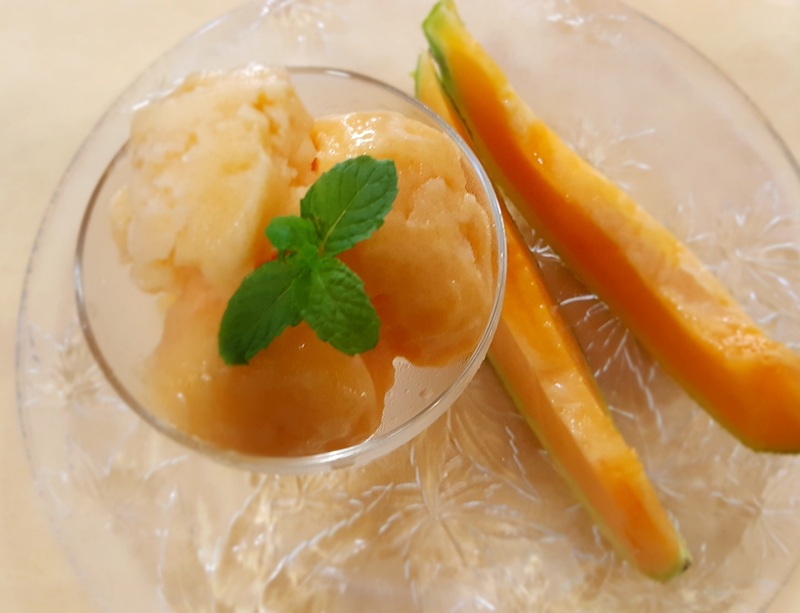 Here’s the recipe of muskmelon sorbet. Cut the muskmelon into bite size cubes. Spread it on a tray and freeze till it hardens up. Put the frozen muskmelon cubes alongwith the honey in a food processor and combine till it is evenly mixed. Transfer the mixture to a broad container and keep it in the freezer until fully frozen. Muskmelon sorbet is ready to serve.